Tan causes the dark facial appearance & the beauty remains hidden behind sun tan. It occurs due to exposure to the sun for the longer periods of time. There are some best home remedies for the skin tan that we will share today. There are some home remedies to remove tan at home that are shared today. Use of the chemical products to remove tan can prove harmful for skin in the long run. There are some rapid ways to remove tan. Have a look at some Natural Remedies To Remove Tan Fast At Home. Mix 2 tsp of lemon juice with two tsp of honey. Apply this on the face for 30 minutes. It may rapidly remove tan from the skin. It is one among the best natural remedies for removing tan. It will lighten the skin & tan also. Mix 4 tsp besan with one tsp turmeric & some little milk. Apply this paste on the face & neck for 30 minutes. Later clean with mild warm water. It is the best remedy to remove tan from the face. Mix some baking soda with rose water & apply while massaging on the skin. Keep it for 15 minutes & then rinse off. Lemon is the natural skin lightener. It will also exfoliate the skin. While taking bath rub some lemon juice mixed with salt on the skin. Later rinse off with cold water. It is one of the best ways to remove tan at home. It is popular for its tan removing properties. It can also reduce other scars & spots on the face. It has the soothing effect on the skin. Grind cucumber to form the paste. Apply this paste on face for 30 minutes & wash off. It can efficiently remove tan & sunburns. It is very beneficial for the skin as it kills infections & also moisturises your skin. Apply aloe vera gel on the face & leave it as such. 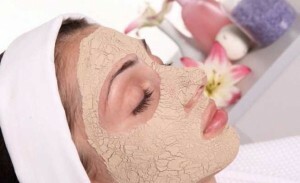 It will also give a cooling effect on the skin. It is off the best home remedies for the skin tan.